Tablets on site, or why use tablets at all? Taylor et al. Internet Archaeol. 45. 4. Tablets on site, or why use tablets at all? The introduction of tablets in 2012 as a tool for archaeological field recording at Çatalhöyük was controversial within the project at first, sparking numerous debates. Despite the tendency as a project to make use of new technologies, it was not immediately clear to all team members (including some of the authors) what the benefits of using tablets might be. From the outset the notion of efficiency was a driving factor in the design and implementation of tablet-based workflows, especially as the project became increasingly 'digitised' in other areas, particularly in the post-excavation management of its data. 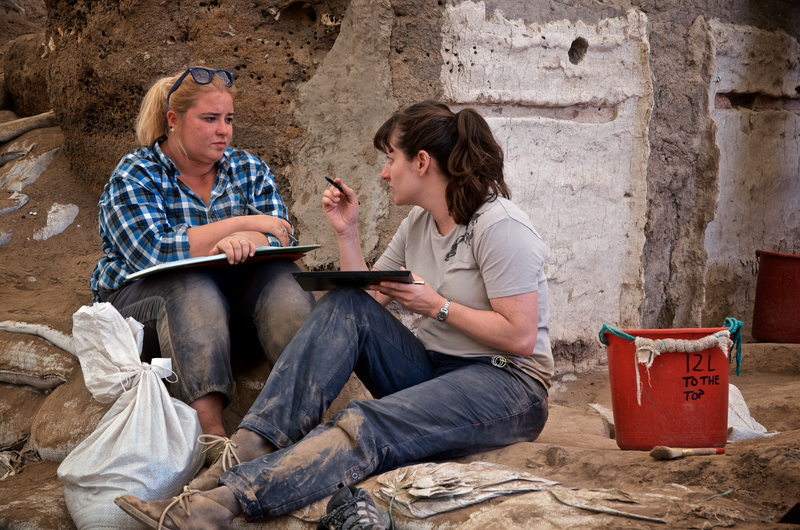 We believed that the use of tablets in 2D recording on site would inevitably eliminate the need to spend time processing plans and digitising them during post-excavation for integration into our intra-site GIS. Further, with the extension of the local area network to cover the excavation shelters, it would be possible to enable access to the existing SQL excavation databases, and facilitate excavation data recording on site and in real-time. Hence, we believed the use of tablets would further advance the process of data integration that had started with the use of the Access database and the GIS implementation. And of course, as a project we were keen to explore the notion that tablet-based recording might enhance the project's suite of reflexive methodologies. It is important to underline here that central to the project's documentation system is its use of a single context approach to record the complex stratigraphic sequence of the site. This has been no small feat for a site that displays such stratigraphic complexity. In spite of the spatio-temporal control the method lends to the manipulation and analysis of the archive, many team members had been aware for some time of a number of limitations in Single Context Recording, specifically that it atomises the data, in particular the graphic component of the archive, and makes holistic synthesis and data validation possible only during the post-excavation phase. 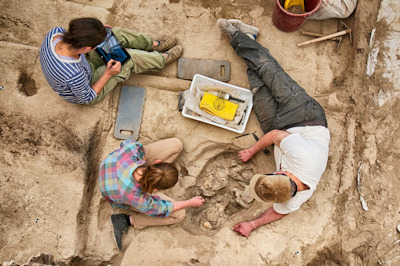 This creates a dilemma at Çatalhöyük, especially as the presence of specialists on site during the field season means that there is a constant demand for interpretation and synthesis from the excavators as material is being excavated. 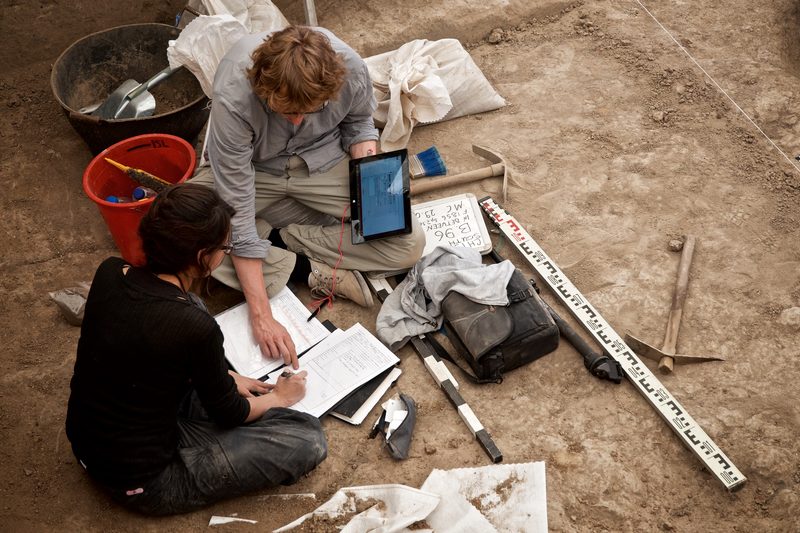 Tablets offered an opportunity to have access to the GIS integration capabilities in the field while excavating. The tablets, with their highly portable nature, appeared to be the perfect tool for taking the ÇRP GIS capabilities to the field. Additionally, this portable device displayed potential for mitigating some of the issues encountered in using GIS as a reflexive tool (see below). The project's Human Remains team have been early adopters of this technology at Çatalhöyük (see Forte et al. 2013; Knüsel et al. 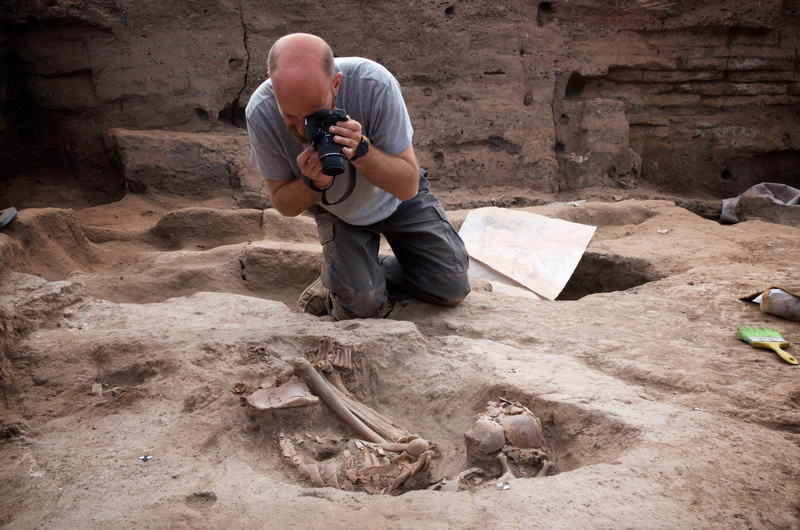 2013) and have developed a very robust workflow which effectively fully digitises the recording process of skeletons on site. This has a number of very obvious advantages for the physical anthropologists, specifically that they can generate consistently accurate plans of the complicated burial sequences on the site, regardless of the team's relative levels of experience, and they can expedite the removal of the very fragile (and quick to deteriorate upon exposure) human remains, since the process of collating the data for modelling is much faster than traditional drawing (Knüsel et al. 2013). Furthermore, and more pertinent from a reflexive/interpretative perspective, this process allows the reconsideration of the often subtle and intricate stratigraphy of the burial sequence. The Human Remains team suggest that often 'determining the order of multiple interments under house floors can be extremely difficult' (ibid, 1). However, as an example, in Space 77, Feature 3686 (sk.20430), the team was able to reconstruct the sequence of burials by stacking together a series of geo-referenced 3D models produced [as standard practice] during excavations. Using this method [they] were able to make sense of a very complicated set of burial sequences in the North Area of the site and also to identify a possible skull retrieval pit (ibid).